In transcribing this Manual for the web, I have not attempted to copy the exact layout of the original. This, I believe, would be inappropriate as the manual uses a fixed space font, similar to Courier and web pages do not sit comfortably with such fixed spaced material. In addition, many viewers would not be able to view an entire page on their screens so using a format in which the image adjusts, within limits, to the size available for viewing has its advantages. However, for those who would like to see the manual as a MS Word document, I have included it under Documents in the Master Index on the left. A few typographical problems have arisen. With a few exceptions, it is not possible to represent letters with a bar over them as used in this manual to denote an inverse. This is possible for a few characters, mainly the vowels, as they are available as special symbols, but in general it is not. For example, y with a bar over it is not available. Where necessary, I have use a prefix of ¬ to denote such characters, for example ¬y to represent y with a bar over it. Another problem relates to the use of symbols for 'not greater than' and 'not less than'. I can find no way of getting these symbols displayed by Internet Explorer. I have therefore used ¬> and ¬< respectively in their place - not elegant but at least fairly clear. Similarly, OMP used crossed round brackets as a line delete symbol. I have used ╫ instead where this has been used in the manual. Finally, single symbols for 10 and 11 are now, post decimalisation, unavailable. I have used the Cyrillic symbols Ю and Ц as reasonably similar substitutes. Other textual changes, however, have been avoided, even when the material is manifestly incorrect. Where I think this is serious, as for example in the description of the rounding in the 41 instruction, I have appended a correction as a note. However, I have corrected minor errors without comment; for example I have replaced 'teh' with 'the', dropped instances of mistakenly repeated words and removed inconsistencies from a few of the contents pages, etc. Finally, the manual makes extensive use of underlining to highlight words and phrases. Again, this is not appropriate in a web document and I have often used other ways, for example bold text to provide the required emphasis. In some instances, cross references have been incorporated as hyperlinks. Until recently, this manual lacked the final update, dated August 1969, one that I did not realise even existed! Fortunately, a complete copy of this update, including all the replacement pages as well as the list of amendments, was found and has now been incorporated. Most of the amendments were concerned with the Orion 2/1900 Direct Data Link. The other principal change was the replacement of most of Section 14, the list of configurations. 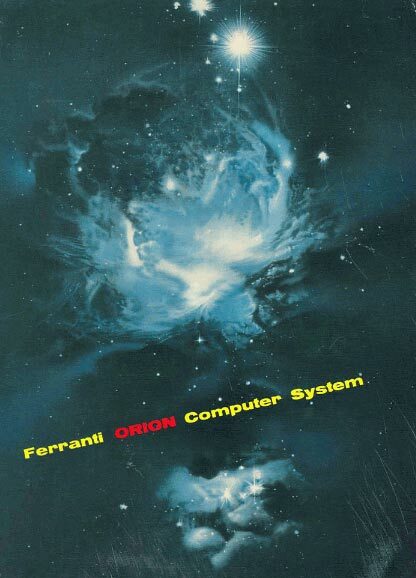 In order to preserve the historic record of the original Orion configurations, for this section only both versions have been published. No changes have yet been made to the PDF version of this manual stored under Documents.